Each ACS National Meeting & Exposition brings with it a wealth of fun activities and events from all corners of ACS Publications. 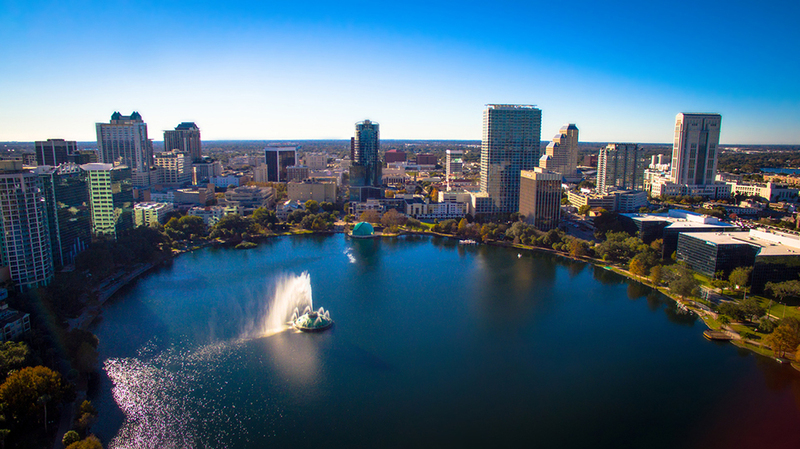 The upcoming ACS Spring 2019 National Meeting & Exposition in Orlando, Florida, will be no exception. Join ACS Publications to welcome new editors & new journals, learn from educational sessions on ACS Reviewer Lab & website demos, attend some fun celebrations, and more! ACS on Campus is attending the ACS Spring 2019 National Meeting & Exposition! On Sunday, March 31, join us for periodic table pub trivia night in partnership with C&EN. Test your science and general trivia knowledge while networking with your fellow meeting attendees. We’ll have lots of foods and drinks to keep you fueled during and between trivia rounds. The event is free but registration is required. Prizes will be awarded to the three winning teams. Get a complimentary professional headshot at the ACS Career Fair, courtesy of C&ENjobs. Join all the divisions of the American Chemical Society, including ACS Publications, Chemical Abstract Services (CAS), and Membership, for our LIVE #ACSGameShow event to celebrate the Exhibit Hall opening of the ACS Spring 2019 National Meeting & Exposition! Mimicking a live Jeopardy!-style game, you can earn the chance to compete for the top prize by simply attending. We look forward to seeing you there. Get a complimentary professional headshot at the ACS Career Fair, courtesy of C&ENjobs and have an on-on-one review of your LinkedIn profile with an expert. Come get a preview of the all-new ACS Publications web experience on Monday at the booth. Whether you are an ACS author, researcher, or librarian, come join us for a cup of coffee and a one-on-one sneak peak of our innovative new website. The first 30 participants will receive an Amazon Fire TV Stick! Join Professor Jodie L. Lutkenhaus, Deputy Editor of ACS Applied Polymer Materials, as she gives one of the most highly requested ACS on Campus presentations on how to effectively communicate research. The first 30 attendees will receive an ACS on Campus bag and notebook. Join Kymera’s Nello Mainolfi, Kronos Bio’s Angela Koehler, and other entrepreneurs behind young firms featured in C&EN’s 10 Start-ups to Watch for this exclusive panel moderated by C&EN’s Melody Bomgardner. We will talk about making the leap from lab to company, discuss the risks these entrepreneurs took along the way, and give attendees an inside view of chemistry start-up culture. After 18 years as an Associate Editor, Professor Erick M. Carreira of the Laboratory of Organic Chemistry at ETH Zürich, was appointed Editor-in-Chief of Organic Letters this year. In addition to his extensive editorial and publishing experience to the journal, Erick also brings expertise in the areas of organic synthesis and natural products. His goal is to maintain Organic Letters as the premier platform for publishing first-class organic chemistry. Meet Erick and learn more about the submissions process, key topic areas, and other opportunities with the journal. Scientists never outgrow the need for mentorship. So, join C&EN and Emory chemistry professor Jen Heemstra for a live version of her new advice column in C&EN, Office Hours. We will talk about how to conquer self-doubt, harness the power of adversity, maximize the gift of feedback, and answer your questions. From nanorobots for tumor targeting to innovations in thin film assembly, come and learn about the latest innovations in nanoscience, photonics, and materials. Organized with support from ACS Nano, ACS Photonics, Chemistry of Materials, and Nano Letters. At the forefront of chemical engineering research since 1909, Industrial & Engineering Chemistry Research is celebrating 110 years since its launch. Once titled Journal of Industrial and Engineering Chemistry (I&EC), this was only the third publication started by ACS – just behind the Journal of the American Chemical Society (JACS) and The Journal of Physical Chemistry. The journal was started to provide the premier peer-reviewed outlet for chemical engineering and applied chemistry research, and still serves that scope and goal today. Join Industrial & Engineering Chemistry Research Editor-in-Chief, Phillip E. Savage, as well as Associate Editors and Managing Editor, Rhea Williams for cupcakes and refreshments to celebrate – along with your complimentary copy of a timeline infographic! Come and grab a coffee with ACS Applied Materials & Interfaces Editor-in-Chief Kirk Schanze and specialty journal Deputy Editors T. Randall Lee, Gerald Meyer, and Jodie Lutkenhaus. Catch up on the latest developments to come out of the ACS Applied Materials portfolio and hear expert tips on getting published. Join C&EN and Gordon Research Conferences for a Power Hour around women in science and issues of inclusion. Hear from Georgia Tech’s Elsa Reichmanis and ExxonMobil’s Michele Thomas, then join your fellow scientists in a discussion of these important topics. Breakfast will be provided, and no registration is required. This event is being cosponsored by the Women Chemists Committee, the Committee on Minority Affairs and the ACS Department of Diversity Programs. ACS Sustainable Chemistry & Engineering and the ACS Industrial & Engineering Chemistry Division and the ACS Cellulose & Renewable Materials Division will be honoring the winners of the 2019 ACS Sustainable Chemistry & Engineering Lectureship Awards. These awards recognize the research contributions of scientists working in green chemistry, green engineering, and sustainability in the chemical enterprise and who have completed their academic training within the past 10 years. Lectureship award winners are selected for three regions: The Americas, Europe/Middle East/Africa, and Asia/Pacific. Representing the Americas, Professor Dauenhauer. Representing Europe/Middle East/Africa, Professor Vignolini. Representing Asia/Pacific, Professor Wu. This symposium celebrates the 10th anniversary of ACS Applied Materials & Interfaces and focuses on macromolecular materials and concepts pushing chemistry into new frontiers through control of their structure and interfaces. This symposium, sponsored in part by Applied Materials & Interfaces, ACS Applied Bio Materials, ACS Applied Energy Materials, ACS Applied Nano Materials, Bioconjugate Chemistry, I&EC Research, Inorganic Chemistry, JOC, Organic Letters, and Organometallics, is planned by the LSU GSSPC and will focus on emerging fundamental methods for controlling motion of molecular machines or motors which are aligned with goals set by DOE for controlling non-equilibrium structures and for developing chemical complexity. King Abdullah University of Science and Technology (KAUST) Professor Peiying Hong is the recipient of the 2019 James J. Morgan Environmental Science & Technology Early Career Award. The James J. Morgan ES&T Early Career Award, named after the first Editor-in-Chief of Environmental Science & Technology, recognizes the contributions of early career researchers who have led the field in new directions through creative, new ideas consistent with Morgan’s early contributions in environmental chemistry. ACS Chemical Biology and the ACS Division of Biological Chemistry will present Dr. Chuan He, University of Chicago, with the annual ACS Chemical Biology Lectureship Award at the symposium chaired by Laura L. Kiessling, Editor-in-Chief. Dr. He is being recognized for his research in reversible RNA and DNA methylation in biological regulation and his laboratory’s work on enabling technologies to study the biology of 5-hydroxymethylcytosine (5hmC) in mammalian genomes. He will deliver the keynote address and a meet-the-speaker will be held immediately following the session from 12:00 – 1:00 P.M.
Join ACS Staff as we show you an inside look at our free resource, ACS Reviewer Lab. Be sure to come early, giveaways will be given to the first 30 attendees! A discussion on launching a new journal hosted by Chemistry of Materials Editor-in-Chief, Jillian Buriak, as well as an introduction of ACS Publications newest journal ACS Materials Letters featuring Deputy Editor Bin Liu. Join C&EN as we celebrate K. Barry Sharpless, ACS’s 2019 Priestley Medalist. Stop by for our live Q&A and have the Nobelist and “click” chemistry expert sign a copy of his special C&EN issue. Hear scientists talk about outreach successes, challenges, and everything in between in this storytelling event cosponsored by C&EN and CINF. Come away with tips and tricks to improve your own outreach efforts. Join The Journal of Physical Chemistry Editor-in-Chief George C. Schatz, JPC A Deputy Editor Anne B. McCoy, Journal of Chemical Theory and Computation Associate Editor H. Bernhard Schlegel, ACS Energy Letters Editor-in-Chief Prashant V. Kamat, JACS Associate Editor Michelle L. Coote, and other experienced editors of high-quality scholarly journals to learn more about turning your research into articles that get published, read, and cited. Plus, find out more about Lectureship symposiums at #ACSOrlando! Congratulations to April Colosimo and Chapel Cowden, Recipients of the ACS Publications Travel Grant!